Tinnitus is characterized by ringing, hissing, roaring, buzzing or other sounds heard in the ear in the absence of environmental noise. Tinnitus is not a disease in itself, but a symptom that something is wrong in your ear. According to American Tinnitus Association, about 16 million Americans experience tinnitus severe enough to seek medical attention and about 2 million patients are seriously affected to the point that they cannot function normally. An alternative treatment for such a symptom is CoQ10 supplements. Consult your doctor before taking this supplement for tinnitus. As of 2011, the exact physiological cause of tinnitus is unknown. 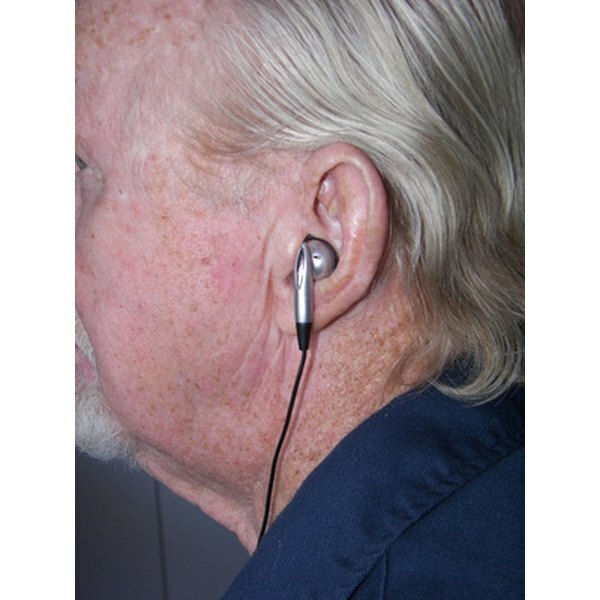 However, there are a number of health conditions that can cause or worsen tinnitus. The most common cause of tinnitus includes age-related hearing loss, exposure to loud noise and ear wax blockage. Other factors such as excessive caffeine intake, stress, anxiety and high sodium diet has also been identified as a cause of tinnitus, according to MayoClinic.com. Coenzyme Q10 is compound that can be found throughout your body. It is required for the conversion of food in the mitochondria of cells to produce energy in the form of adenosine triphosphate, or ATP. Coenzyme Q10 is a helpful antioxidant that will boost your immune system and improve the blood circulation in your ears. A study published in 2007 in “Otolaryngology -- Head and Neck Surgery” found that coenzyme Q10 at a dosage of 100 mg three times per day for 16 weeks significantly improved the symptoms of tinnitus such as intrusiveness, sleep disturbances and cognitive distress. According to researchers, CoQ10 was only beneficial in patients with low level of CoQ10 before the treatment. The study indicates that CoQ10 may be useful agent for the treatment of patients with a CoQ10 deficiency. CoQ10 generally appears to be safe and well-tolerated at dosages of up to 200 mg per day, according to University of Maryland Medical Center. However, high doses of CoQ10 may induce unwanted side effects such as restlessness, insomnia, upset stomach and fatigue. The supplements should be taken under medical supervision. “Journal of the American College of Nutrition”; Biochemical Functions of Coenzyme Q10; Frederick L. Crane; December 2001.